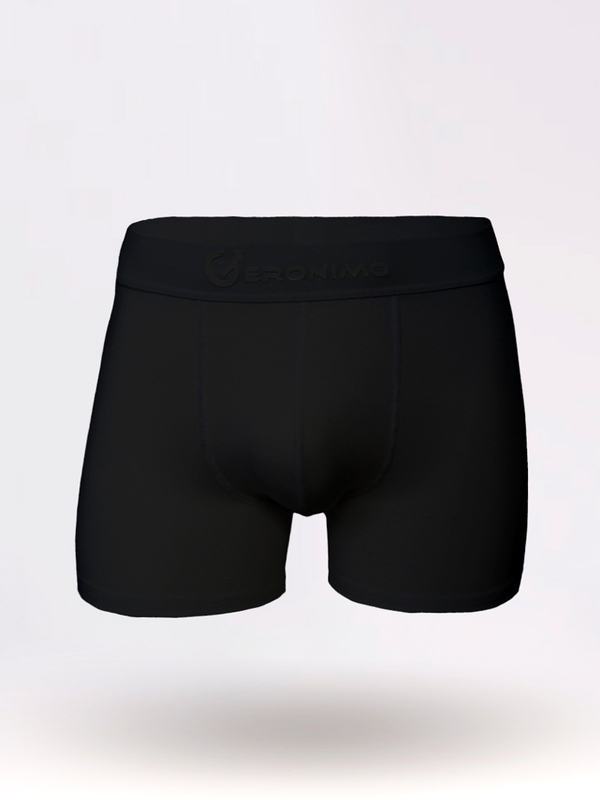 Geronimo's 1861b7 Black men's boxer trunk is built with a spacious pouch made of soft cotton and lycra fabric blend that wicks away sweat and provides support just where you need it. This boxer underwear offers incomparable comfort and freedom of movement. A modern soft elastic waistband with the Geronimo brand logo decorates this pair.